I’ve been thinking about how to explain the insanity of my day. Of my week, for that matter. But really- today just took the cake, pie, and every other decadent metaphor. Put simply, TGIF. However, you know why Friday is also especially awesome. Because it’s time for Jessamyn’s New Favorite Thing. No kidding, I tried about a dozen new food items this week. Some of them were really awesome- some left quite a bit to the imagination. And some (quite literally) left a bad taste in my mouth. But what came out on top? What is Jessamyn’s New Favorite Thing of The Week? Ok, picture your favorite potato chip. Now make it less fatty, more delicious, and even more awesome. 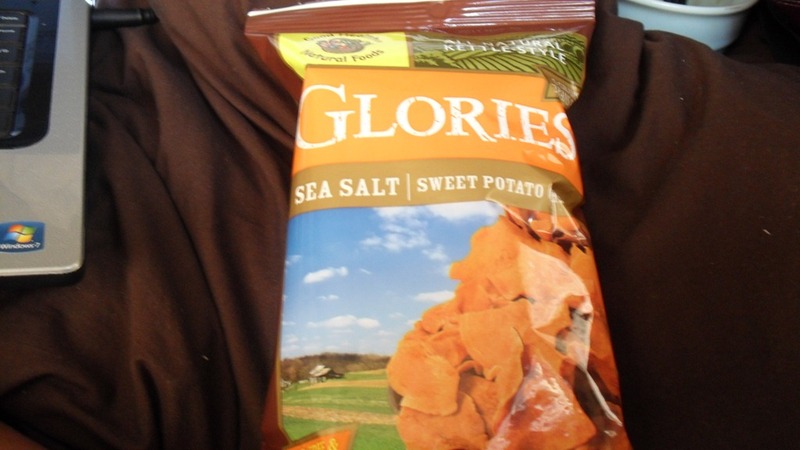 You’re thinking of Glories Sweet Potato Chips. The purchase of these chips was the definition of an impulse buy- the woman shopping in front of me at Washington Perk and Provisions was eating them and I asked to try a few. I immediately bought a bag, and proceeded to eat nearly the entire bag during the Sunday matinee of 1776. There are so many good things about these chips that I almost don’t know where to begin. Some sweet potato chips are too salty and too broad, which makes them take up too much space in your mouth and messes up the balance of natural potato sweetness and added salt. These chips are really thin and very crunchy- simply by size judgement, you will never question whether these chips are the product of actual sweet potatoes or a sweet potato processing machine monster. They are properly dusted with sea salt, and the salt does not overpower the natural potato sweetness. 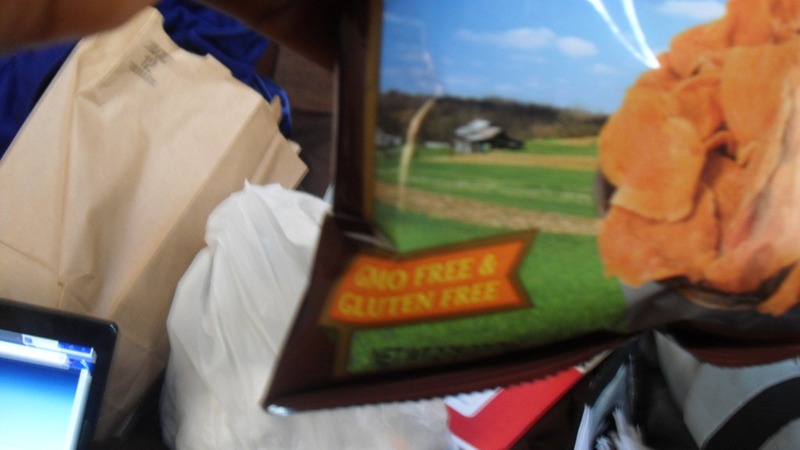 The chips are gluten-free AND GMO-free. Also, the only ingredients are sweet potatoes, GMO-free oil, and sea salt. As it should be. Well, I perused the website and immediately found out that NOT ONLY are these American south sweet potatoes (which explains why they are perfect and delicious- the American South farms the best sweet potatoes you’ll ever eat), but OH MY GOD THE COMPANY IS BASED IN GREENSBORO, NC. My hometown. THE BIRTHPLACE OF JESSAMYN. It’s also the next large town over, but that’s irrelevant right now. 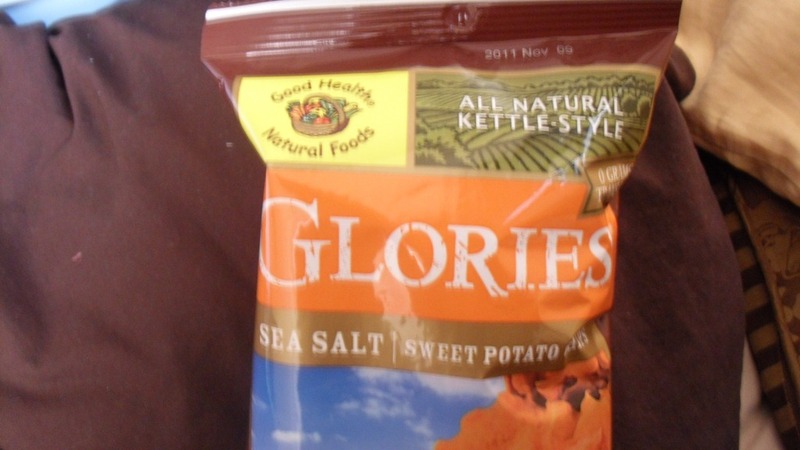 Therefore, not only are Glories Sweet Potato Chips my new favorite thing of the week, but Good Health Natural Foods is my new best friend. Happy Friday, y’all. Seriously, TGIF, or what? By the way, speaking of Jessamyn’s New Favorite Things, my pre-fasting breakfast this morning was a bowl of corn flakes with chocolate almond milk. I nearly swooned because of the delicious flavors entering my mouth. Seriously, go to the grocery store and GET YOU SOME. Also, keep your socks on: days 2 and 3 of The Macaroni Bowl are still forthcoming- I promise. 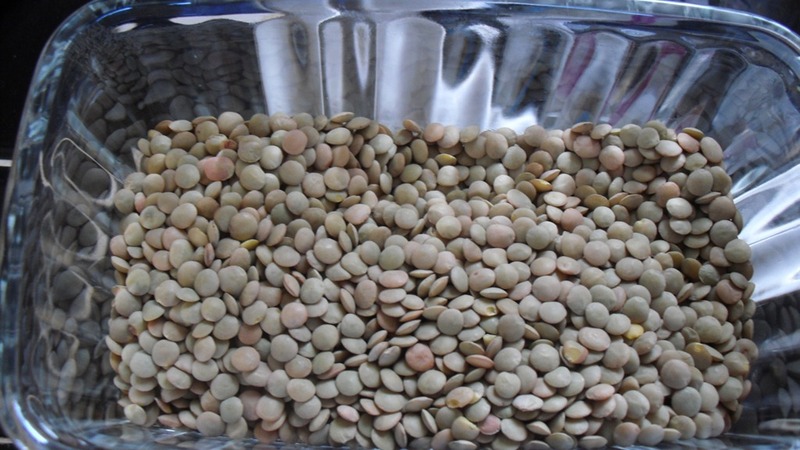 I’m also going to post the recipe for this ABSOLUTELY AMAZING curried lentil soup I made on Wednesday. Delicious doesn’t begin to describe it. Also, since I’m in the mood to overshare, I finally received Waiting For “Superman” from netflix, and I can’t wait to start watching. Wait, why am I still typing? I need to watch! Tagged as glorie's sweet potato chips, good health natural goods, Greensboro, jessamyn's new favorite thing of the week, nc, north carolina, sweet potato, sweet potato chips, Waiting for "Superman"
So who’s got two thumbs, made PERFECT basmati rice last night, photographed the process for her lovely readers, and then forgot to upload the pictures before she left home this morning? As a result, you can now look forward to reading about the perfect basmati rice recipe tomorrow, when I will (hopefully) find time to post again. However, due to this weekend being Ayyám-i-Há AND opening weekend of 1776 AND Walk For Choice 2011, I’m going to be a little strapped for time. However, guess what else is happening this weekend? 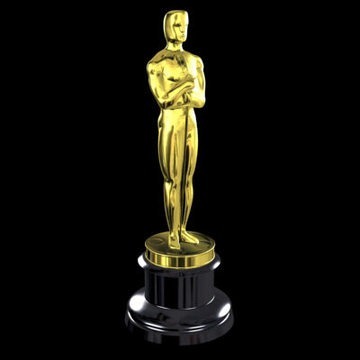 Yeah, that’s right- if you thought the SAG Awards were my Superbowl Sunday, then Oscar night must be my…I don’t even know how to express my excitement over this televised event. I’ve been putting together my ballot for weeks, and if I were a betting woman I’d probably have money on a couple of competitions. However, in honor of film’s most auspicious of evenings, I’ve got a whole menu of good eats marinating in my mind. Trust me when I say that there are going to be some delicious odors emanating from the J.Stanley household on Sunday night. But I digress. I know why you’re reading this: you want to know about my New Favorite Thing of The Week. 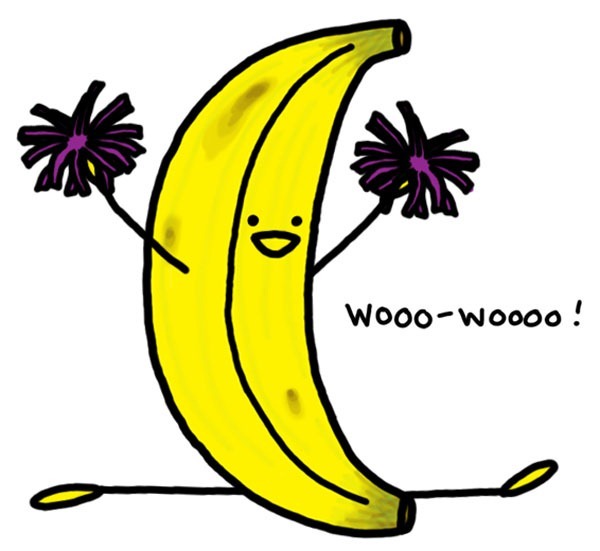 Ok, Jessamyn, get your rambling under control: what food item blew your mind this week? Y’all, I have been waiting on pins and needles to write about this ALL WEEK. I stopped drinking cow’s milk quite some time ago, and almond milk has been my cereal beverage of choice for the past couple of years. However, due to a fear of “sugar bugs” which was instilled in me by my kindergarten teacher, it’s been (literally) AT LEAST 15 years since I’ve voluntarily consumed chocolate milk. 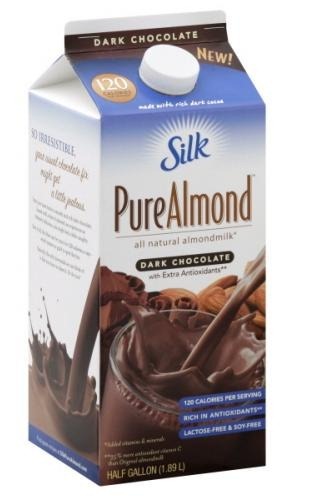 Silk PureAlmond Dark Chocolate has erased this terrible memory, and I’m a happy convert to the world of chocomilk. The best part? It’s not actually milk. The worst part? It still actually has calories. I mean, it’s really no big deal: a glass of this delicious liquid is only 3 wwpoints+. However, 3 points+ can become a bit much when you feel the desire to drink an entire 1/2 gallon in one day. Trust me, you’ll understand once you start to sip: it’s a magic potion of deliciousness. “GET IN MY BELLY RIGHT NOW” is what happens. I hope you’ve had a really lovely week. Oh, by the way: What’s Your Favorite Thing Of The Week?